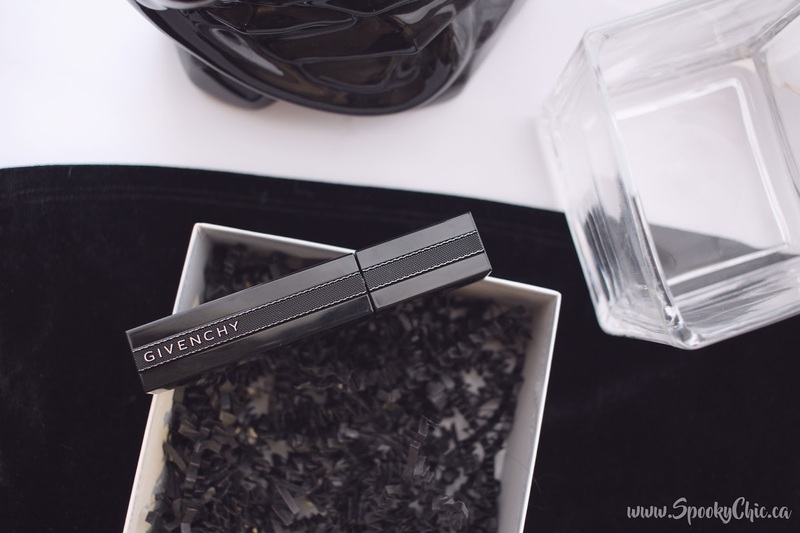 GIVENCHY has created the Noir Interdit Mascara in shade No.1 Deep Black which is pretty cool because it has a revolutionary brush combined with a unique formula for endlessly long lashes and made-to-measure volume! 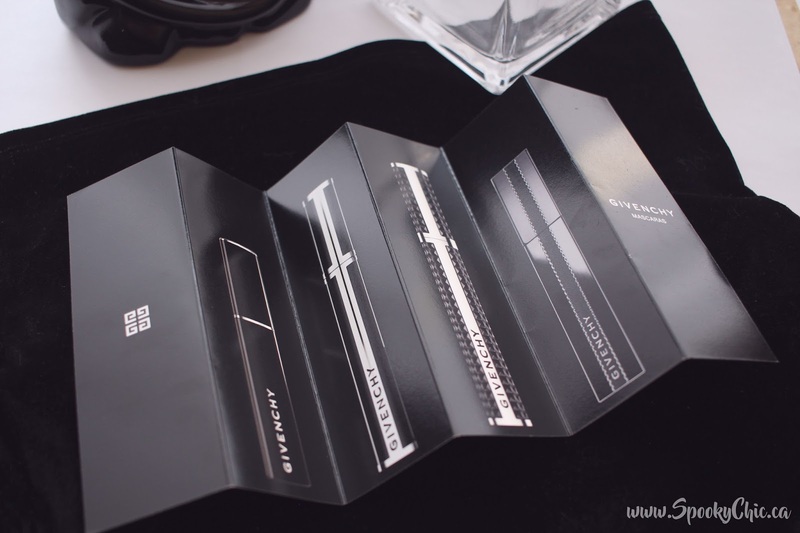 It has a flexible comb that follows the shape of your lashes and a wand that bends to a 90 degree angle. 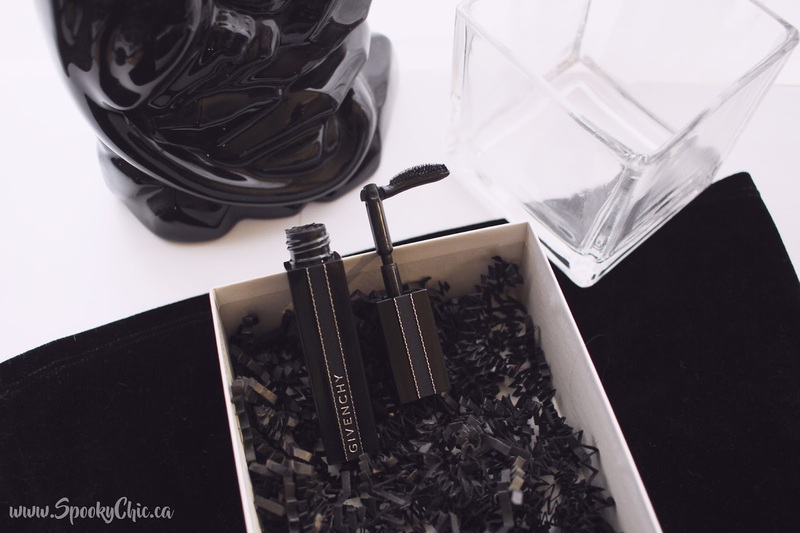 The Noir Interdit mascara has 0.31oz / 9g and can be bought at Sephora for $38.00 CAD which is definitely not a bad price point for a high end mascara. I really like the formula, I think it coats your lashes well and the brush really defines your lashes without making them look too chunky. I actually really like the bristles on one side of the brush rather than the conventional all around because you can really get in there and separate all your lashes, you're literally brushing them. The only thing I do have a little bit of an issue with is the smell of the mascara. It's scented like roses which is really nice but it's a wee bit strong for something I'm putting by my eyes. Not the biggest issue but I thought I'd let you know anyways! 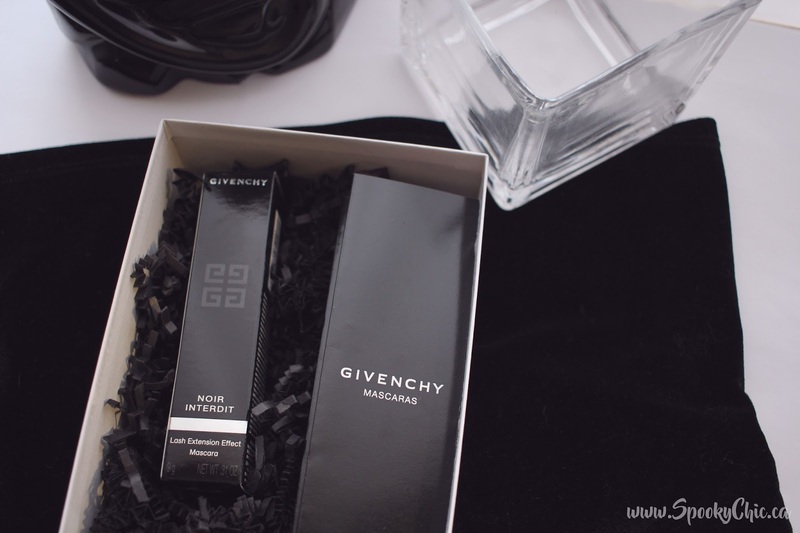 The packaging for the mascara is so beautiful, it features a ribbon like design down the front and back of the tube with GIVENCHY on the front in silver as well as silver on the outside of the ribbon. Holding the tube feels really nice and from my design side I really appreciate all the textures. 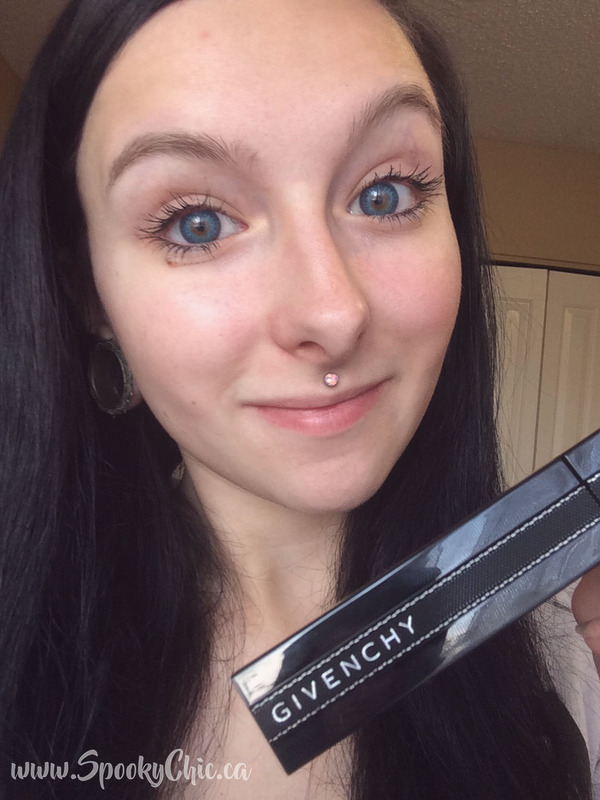 Now if you're looking at this mascara and thinking "Why do I need this? How would I even use it?" 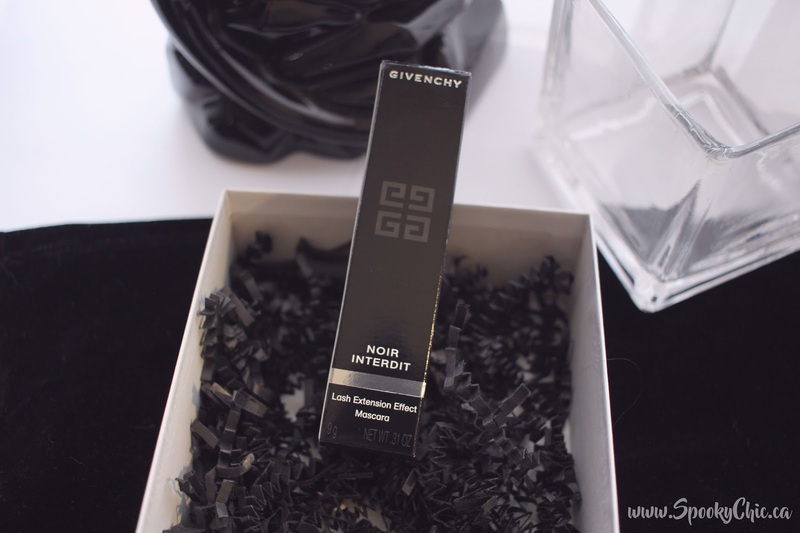 well Givenchy has provided detailed instructions telling you exactly how to. 1. 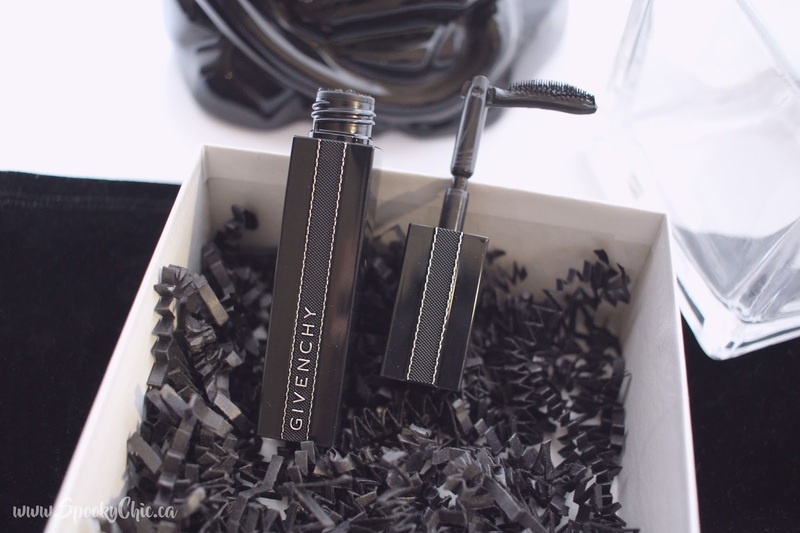 Bend to 90 degrees by pressing the wand against the top of the container to reach lashes from the root up. Then brush them in a zig zag motion from the root up for length and definition. 2. Then unbend the brush to create a buildable volume. 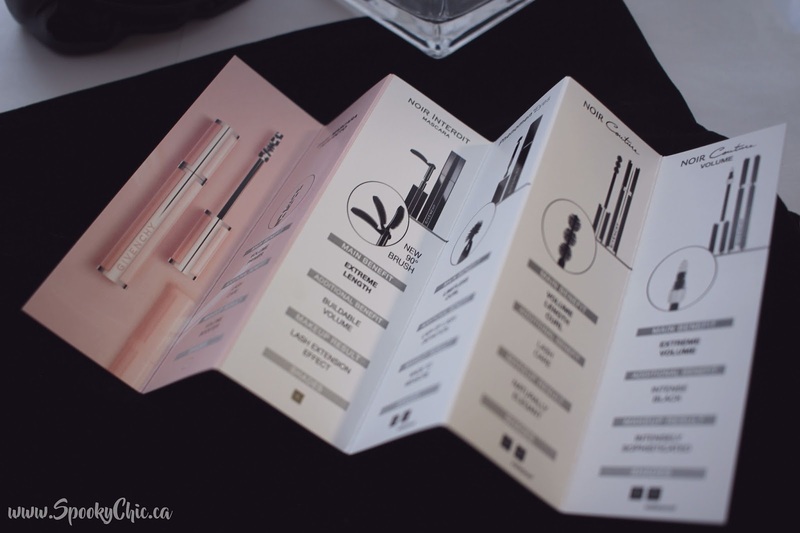 Personally, it took me a little while to adjust to using the wand bent but it really does help to get very close and coat your entire lash from root to tip! And of course here is two photos of me wearing the mascara, please excuse the poor quality iPhone photos, I don't have the greatest set up right now and holding a huge camera up while trying to focus it and get the shot was not in the cards for these photos, but I do think they get the point across! 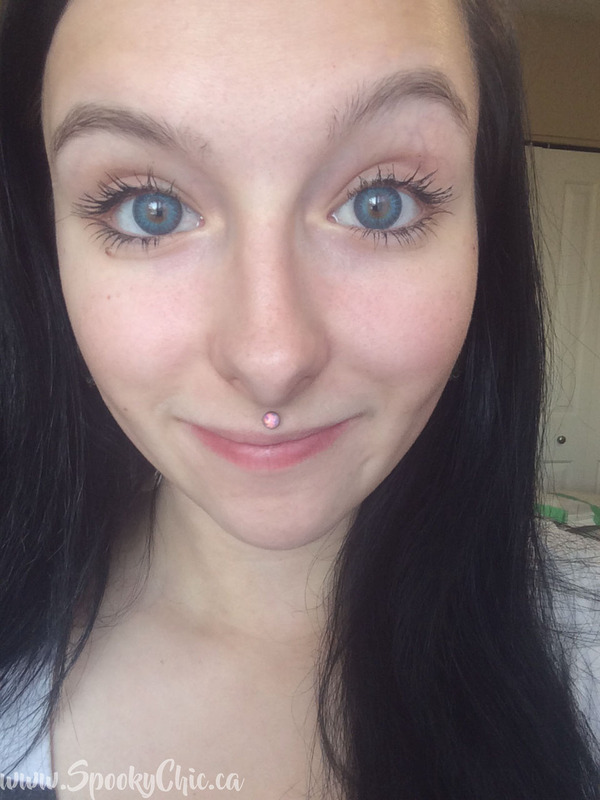 What do you guys think of this mascara? Is this something you're going to be picking up?